Do you like to eat banana? 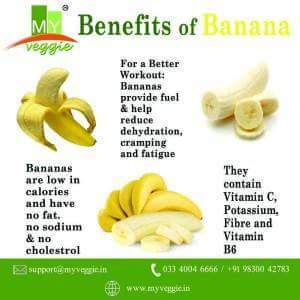 Do you know that banana also has its own benefits? I guess not all of us know about it. Let's figure it out. Bananas are low in calories and have no fat, no sodium and no cholestrol. They contain Vitamin C, Potassium, Fibre and Vitamin B6.